Do not take if you are pregnant, breast-feeding or on antiretroviral medication. If you are taking sedatives or thyroid medication seek medical advice before taking. Other minor side effects exist. 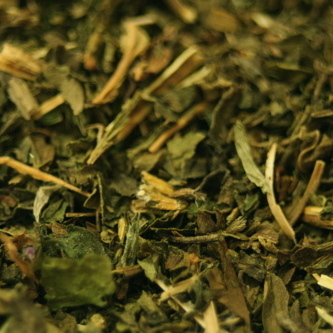 valerian, chamomile, linden and vervain. Lemon balm is a perennial herb from the mint family. 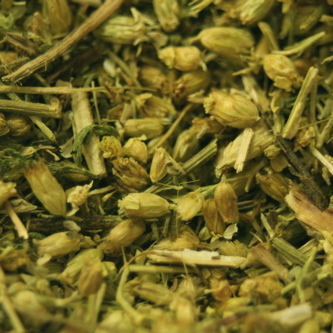 Originally native to south-central Europe, the Mediterranean Basin, Iran, and Central Asia, this garden herb is considered to be a calming herb that combines well with valerian, chamomile, linden and vervain. 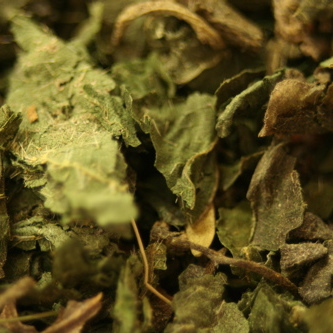 Lemon balm tea is of particular value in the treatment of digestive problems, including upset stomach, bloating, intestinal gas (flatulence), vomiting, and colic. 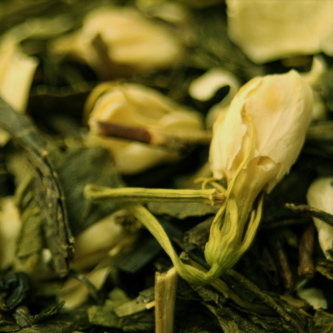 It is also used to relieve pain, including menstrual cramps, headache and toothache. Lemon balm has also been shown to calm the nervous system and has been used to treat mental disorders, including hysteria, melancholia and grief. It is particularly effective when combined with other sedative herbs. Applied externally as a poultice lemon balm acts as an anti-viral treatment. It is extremely effective against the herpes virus, especially the herpes simplex which produces cold sores. 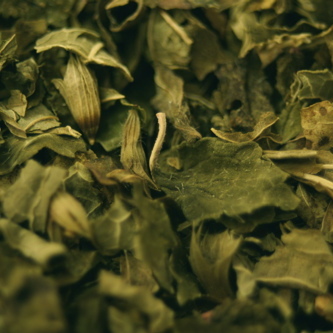 For this, the herb is best used in the early stages of infection. To make a poultice place a dessert spoon of dried lemon balm in a little cotton bag/wrap of cotton material/clean sock. Place in a bowl and cover with boiling water and leave to steep and cool. When cool, remove the compress from liquid, squeeze to remove excess, and apply to the affected area for five minutes. Keep liquid in fridge and repeat application, re-soaking the compress each time; repeat the application three times per day. Do not take if you are pregnant, breast-feeding or on antiretroviral medication. If you are taking sedatives or thyroid medication seek medical advice before taking. Otherwise, lemon balm is considered safe. Side effects can include increased appetite, nausea, vomiting, abdominal pain, dizziness, and wheezing.